Caroll J. Ditmarson, 78 of Spicer, died Monday, January 28, 2019 at her home after a ten year battle with dementia. Funeral service will 1:00 p.m. Friday, February 1, 2019 at the Harbor Foursquare Gospel Church in Spicer where visitation will be held one hour prior to the service. Burial will be in Nordland Lutheran Church Cemetery near Paynesville. Arrangements are with the Johnson Funeral Home in New London. Caroll Joann Ditmarson was born on February 6, 1940 to Elmo W. and Elsie (Shreffler) Pelkey. 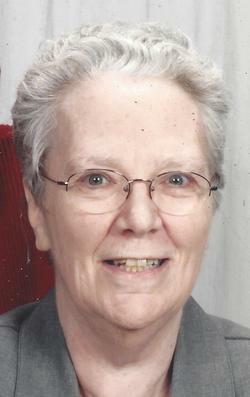 She attended New London High School and graduated in the class of 1958. On August 30, 1958, Caroll was united in marriage to Ditmar Burton Ditmarson. This union was blessed with two daughters and son. Caroll was a member of The Harbor Foursquare Gospel Church. She enjoyed gardening, handwork, spending time with family and visiting the family farm in North Dakota. Caroll died Monday, January 28, 2019 at her home after a ten year battle with dementia at the age of 78. She is survived by husband of 60 years, Burton; children, Debra Ditmarson (Lee Rients), Anthony (Jeanneta) Ditmarson and Elizabeth (Bradley) Rierson; six grandchildren; one great-grandchild; siblings, Pat (Marvin) Carlson, Barb (Donnie) Jones and Roxanne (Gary) Oeltjenbruns and numerous nieces and nephews. She was preceded in death by her parents; brother, Michael Pelkey and sister, Becky Schmitz.